My summer travels through Europe have begun and I am loving every minute of it! The first country we hit was España and I must say it is quite a different experience being in Spain since I studied abroad in college. Madrid felt the same but Barcelona blew me away. 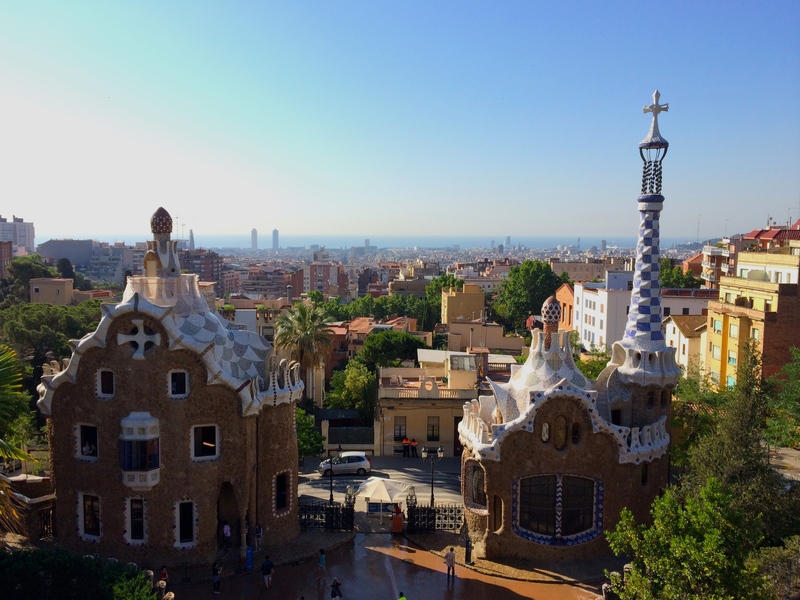 Maybe it was the beautiful summer weather and the location of our hostel but I am now having dreams of living in Barcelona sometime in the future. I’m very glad I’ll be back there again to visit other friends on my trip. One of the best things about Barcelona was an amazing restaurant I discovered through that handy Yelp app. It’s called Quinoa and they have vegan and vegetarian options including an all vegan dessert menu! Spain is full of rich and heavy foods so to find this charming hole in the wall that had the most amazing salad I had ever eaten (at least that is what I told the waiter in Spanish after I ate it) was like finding a diamond in the rough! 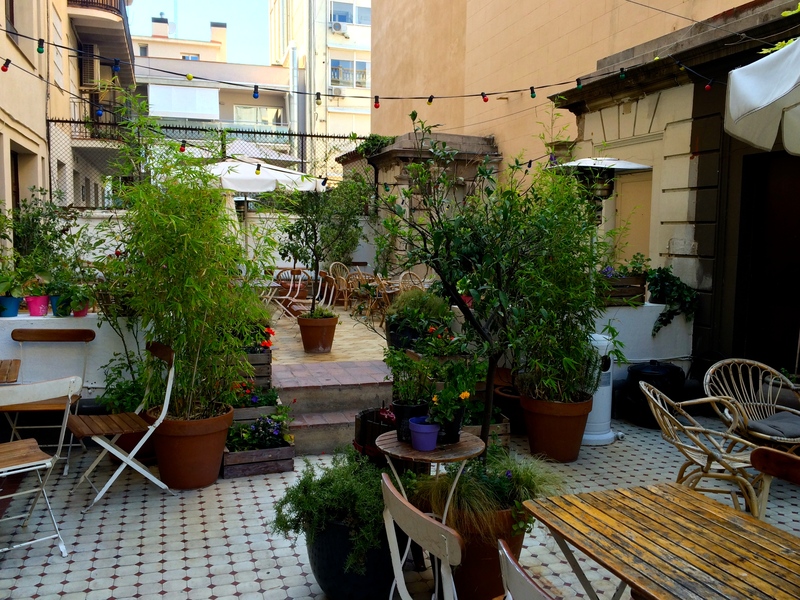 I highly recommend this place for vegans and vegetarians looking for something different, light and healthy while in the beautiful neighborhood of Gracia in Barcelona. The hostel we stayed in was fabulous as well. They had a lovely outdoor terrace that I enjoyed each morning with my tea and avocado toast. 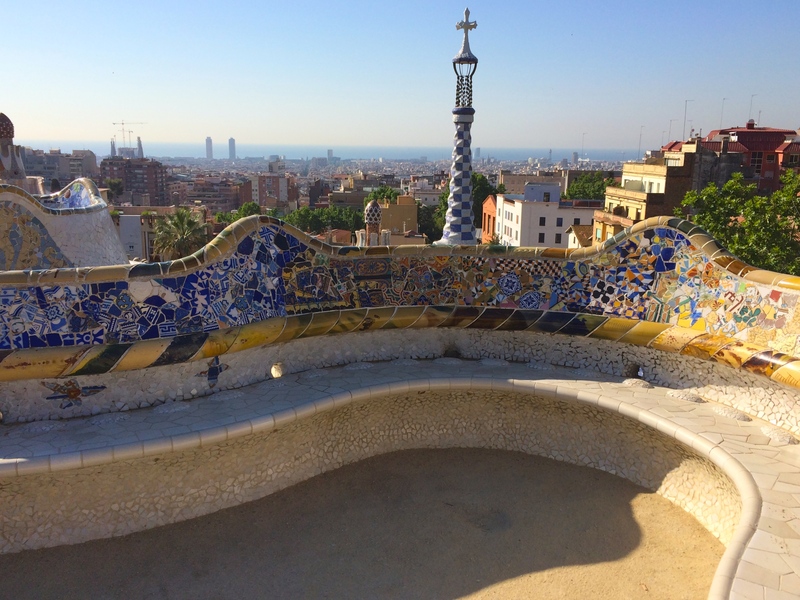 And although I am not sure how I missed it on my first trip, Park Guell is a must see attraction. Adiós Barcelona y Buongiorno Firenze!